Written by VIZOR APPS CORP.
Now, open the Emulator application you have installed and look for its search bar. Once you found it, type Klondike Adventures in the search bar and press Search. 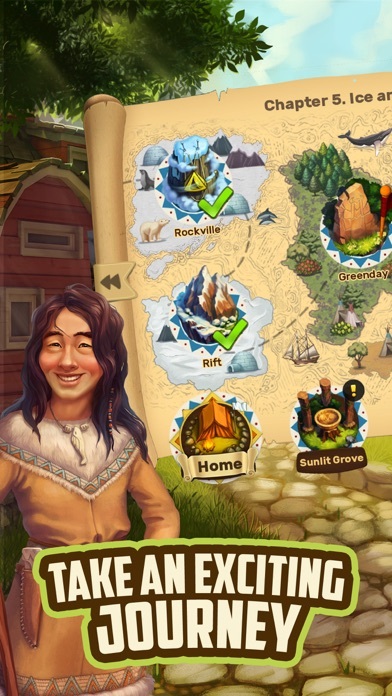 Click on Klondike Adventures application icon. 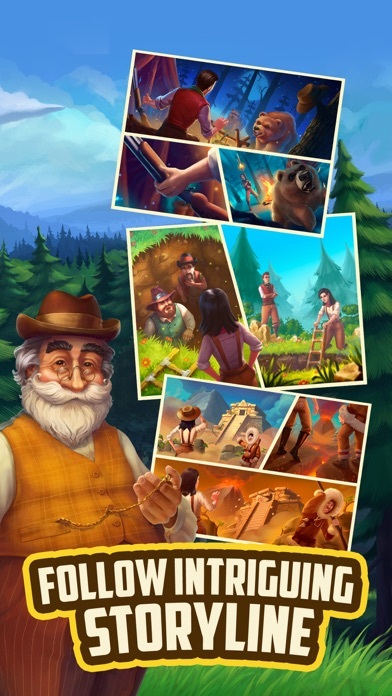 A window of Klondike Adventures on the Play Store or the app store will open and it will display the Store in your emulator application. Now, press the Install button and like on an iPhone or Android device, your application will start downloading. Now we are all done. This game is really fun. 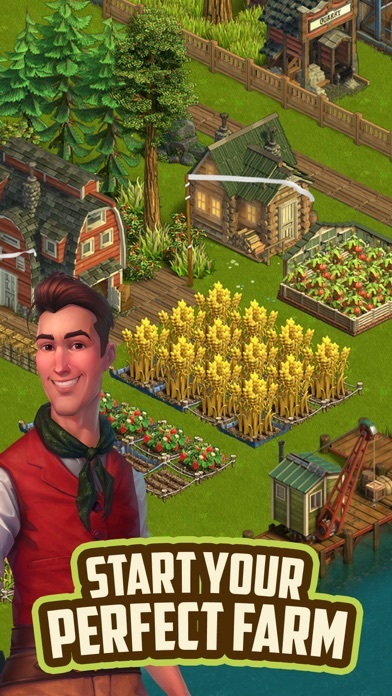 Just like other games that are similar, you get 1 energy every 1.5 mins, you have a farm, animals, build buildings and can essentially cook and create things from the ground up. There is a map you get to go to different areas. Only thing with this is you can’t go back to those locations once you leave which is kinda dumb imo. That’s a lot of RSS missed out on in the beginning if you don’t know this. The level climb is really slow as well and the energy you get per level makes the game, at times, unfun to play since it takes days to clear just a little patch of trees. You have the option to use gems which can be bought with real money or slowly earned through leveling and some events/jobs but honestly it’s not worth it if you need items that can be bought only with gems which are a lot. At level 16 you only have 52 every you can use without add ones such as food, candy from animals and the sweets shop mini game that has like a 4-5 hour cool down which only gives between 0-45ish energy. So when it costs 65 energy to chop down one tree, you can see the concern that a lot of these reviews are talking about. The game is fun and the story is cute but this isn’t a full time game. More of a, I’m sitting on hold for 10min and want something to do while I wait” game. Get the energy consumption under control a bit more and I think the ratings would sky rocket. This game is fun and somewhat addictive but the developers need to change some aspects of the game to make it even better. 1st they need to let the energy build up higher. If they would just let the energy continue to build up while your not playing instead of capping it at 50+ it would be a great game and you could actually accomplish a little more when you play. I’m not unemployed or a 4 year old sitting at home with nothing to do once an hour. I get to play 4-5 times throughout the day and with only 50ish energy I’m done exploring in 5 minutes or less which is the fun part! The rest of the game (building and making things), is just kind of monotonous, which is fine but gets boring after about 10 -15 minutes. Also why do you have to burn energy to collect items you make in the factory? That always burns through more than half my energy each time I collect. 2nd I don’t understand why they have to close off maps that you already completed. Even if the task in certain maps are complete you should still be able to go back into them to collect resources. An example is, right now I need bushes to make fire etc and my open maps have very little or no bushes to earn sticks and making bushes in the factory is way to slow to be able to accomplish anything. I’m a new player, level 13 at the moment. I enjoy this game a lot, however it does take a lot of energy to make only a couple moves and can be frustrating at times with only 51 energy count max with time. There are ways built in the game to produce energy which is helpful but with several events and locations to work on at a time, it runs out quick. I’m having a hard time earning coins at this point in game. 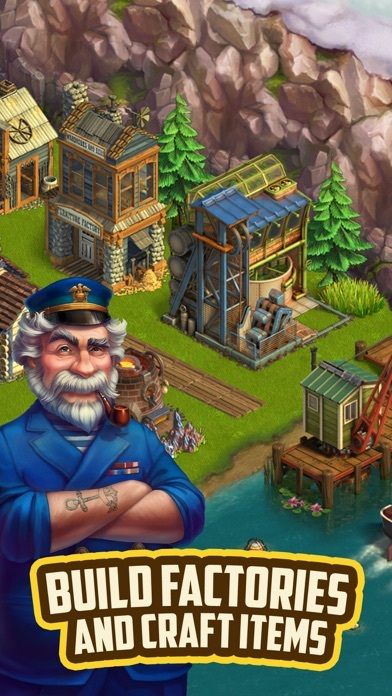 There’s a lot of steps to work through to get buildings up and items produced to earn the coins. It would be much more enjoyable if less energy were required to break stuff. I’ve been playing less than a week, already spent $8 on gems. 100/$3.99. 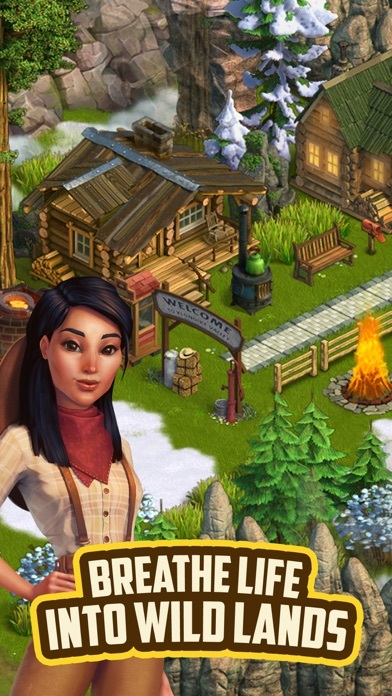 (Gems allows purchase of missing ingredients, energy, dynamite, workers or to speed up production). I’m now out of items needed to make energy and only 51 available at rate of 1 gem=1.5 min. I’m low on coins (less than 500), not enough workers to produce everything in a timely manner, and now thinking I won’t be able to keep up pace for events. I don’t mind spending a little $ here and there for support but not at the rate I’ve started. Maybe I’ll skip special events and stick to basic storyline for now, if that’s possible, but that’s a bummer. I’m really hoping it gets easier with higher levels bc I do enjoy the game. Despite the developer’s claims, to have any time to enjoy the game, one must purchase emeralds (equivalent of cash) to replenish your energy level. It is near impossible to clear the various areas in the game that one travels to without running out of energy. One can use their entire energy just to clear a tree. And you can do this with 5 minutes of game play. To add insult to energy, one must use emeralds to hire workers to manufacture the various items needed in the various factories for game play. While one can replenish a small amount of energy by two means, the total created is still pitifully small to enjoy the game. I spent $30 in two days just clearing plants and forests which did reveal hidden items, but they don’t add significantly to energy levels. If the developers would cut energy costs by at least 75%, it would make an otherwise interesting game worth keeping and supporting. In addition, get rid of the need to hire workers for the factories as they are expensive. It takes time and several steps to create products needed for game play, but could be done without workers. It is a shame, it has all the potential of being a great game, but greed seems to be the underlying strategy by the developers. Take a little less and see if players stay with the game. I certainly don’t mind supporting the game if the cost is reasonable, but not as it is currently setup.